The summer season is almost upon us and the Blue Marlin have already been showing up in good numbers with many over 500lbs reported. May is the peak month for Ono and still during peak time for Mahimahi so we have had some good action with both. The Ahi have also been coming around in greater numbers and should increase as we get into the summer months. It's a great time to fish in Hawaii with large Blue Marlin, Yellowfin Tuna (Ahi) and Ono in good numbers throughout the summer months. 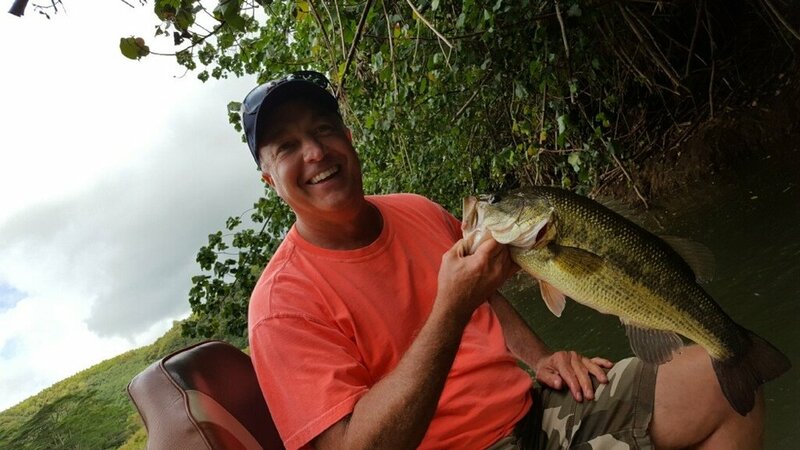 Bass fishing on Kauai was slowed a bit with spring rain flooding on Kauai, but the waters are cleared up now and guide Tom has been catching some really nice largemouth bass, some over 5-6 lbs. The Peacock Bass have not been biting yet, so hoping they will start soon as the weather warms up. The good action with good sized largemouth bass makes up for the lack of Peacocks right now, so it's still a great time to bass fish on Kauai.